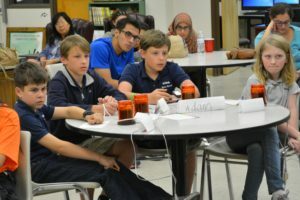 Junior Quiz Bowl is an academic competition involving teams from area junior high schools. 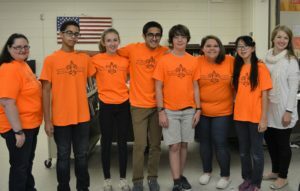 The students participate in six weekly competitions in the fall, followed by six weekly competitions in the spring, culminated by a final tournament in March. For 2018-2019, competitions are hosted by Ascension Episcopal School and organized by Junior League of Lafayette members. Junior League of Lafayette has been promoting academic excellence by organizing and implementing this program for over 15 years. The League’s volunteers assist as moderators, time keepers and score keepers for each competition.